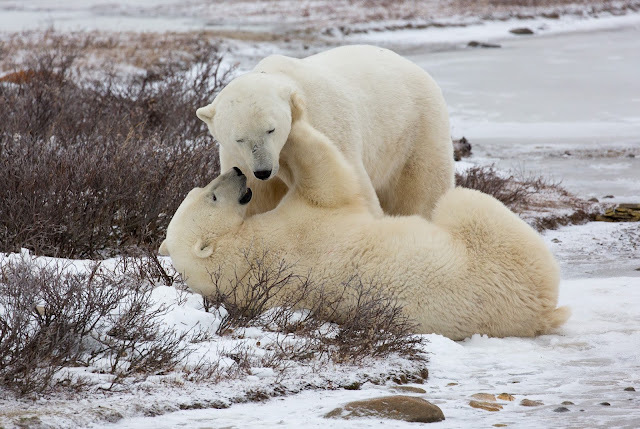 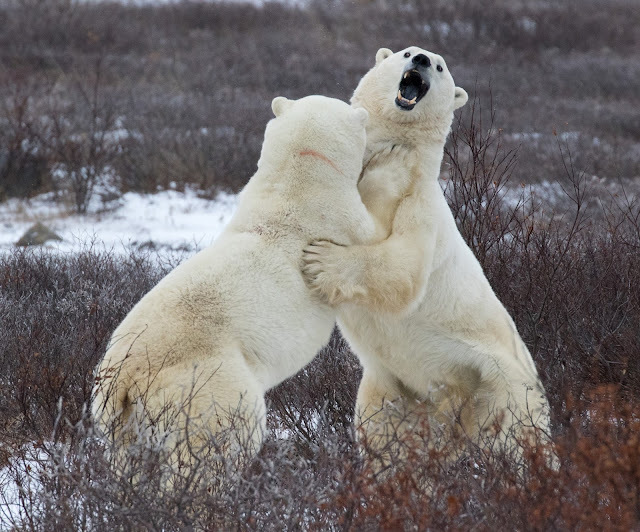 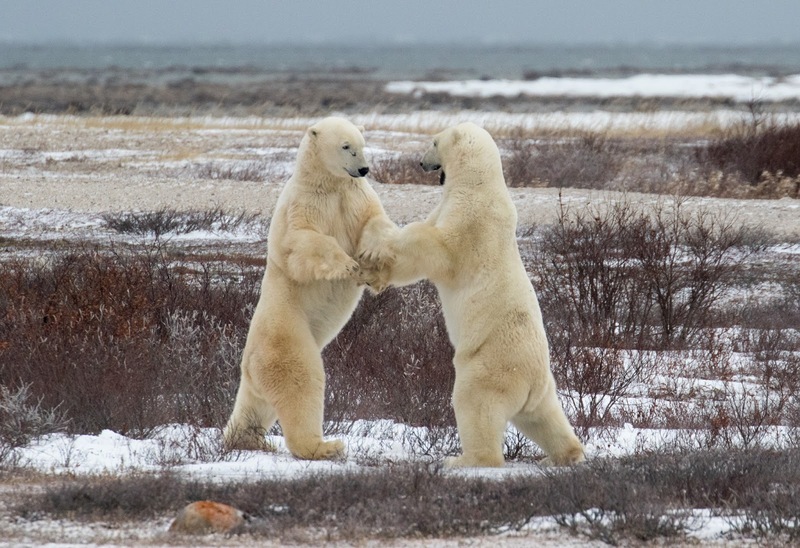 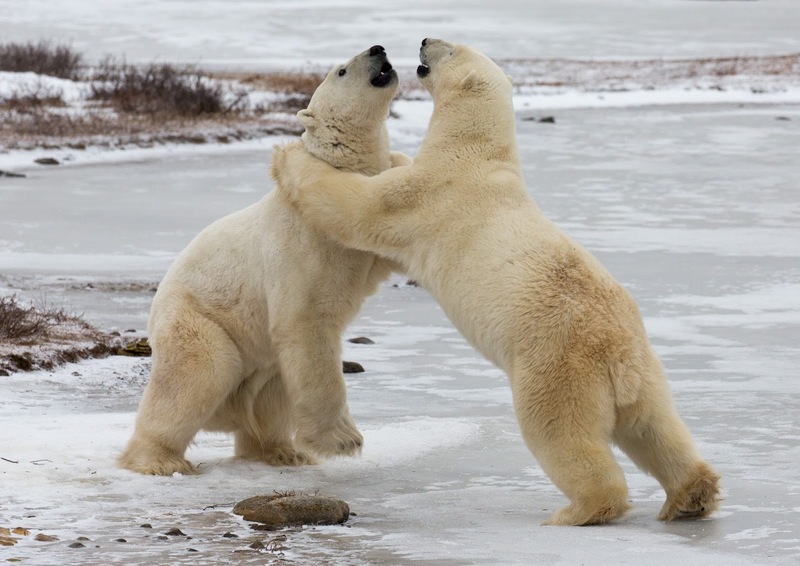 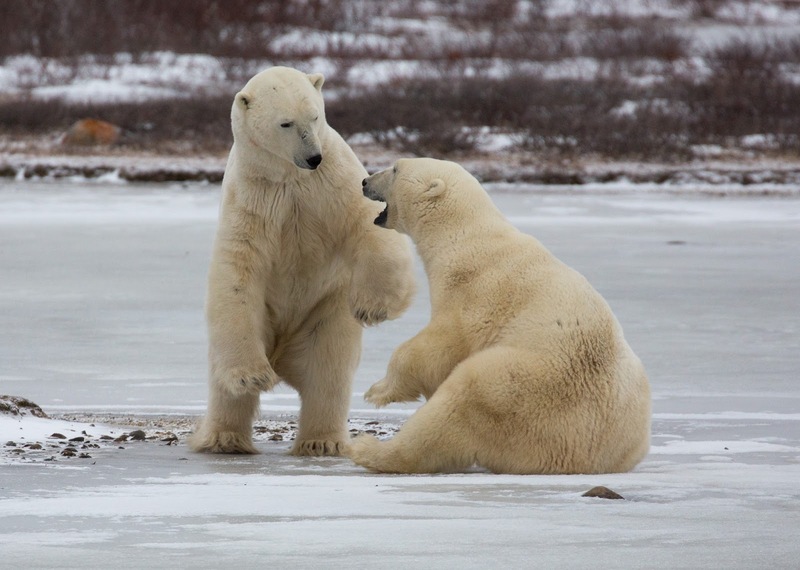 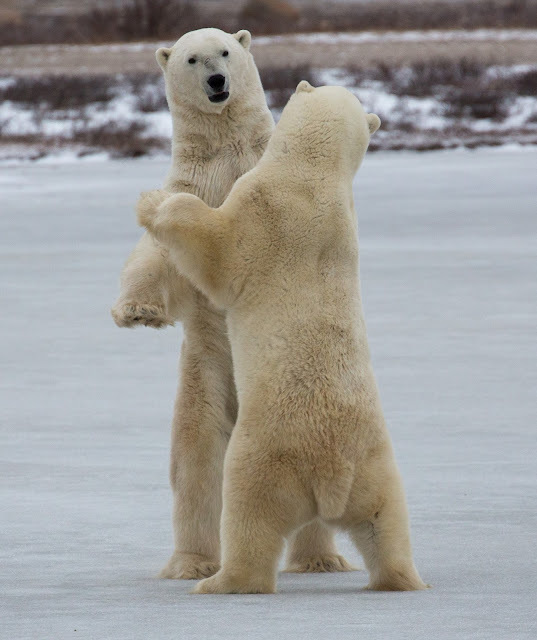 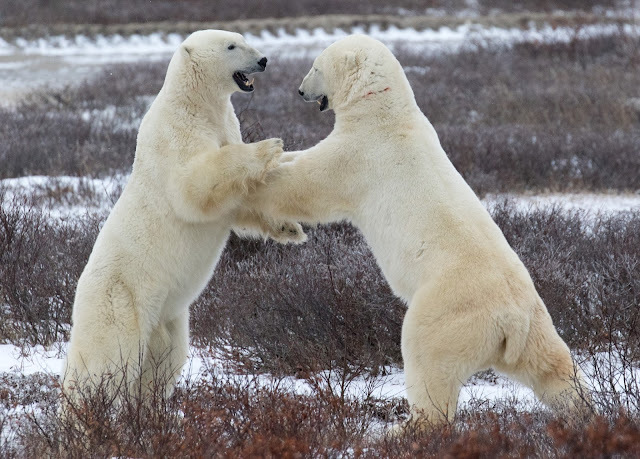 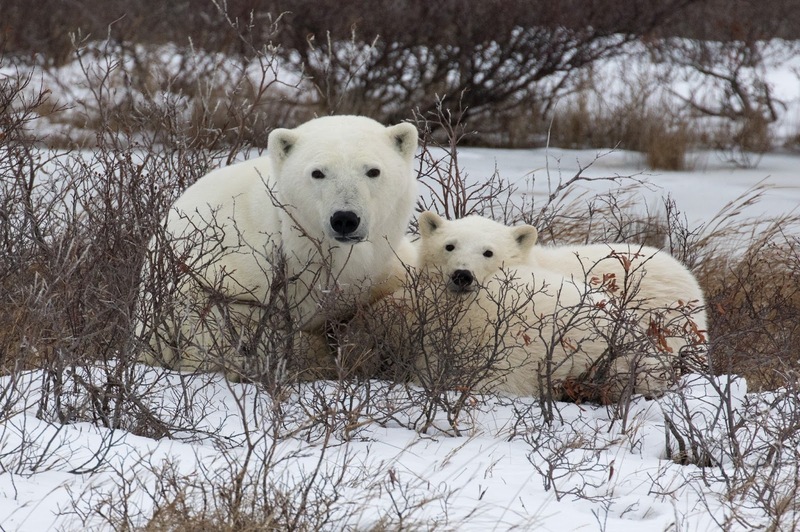 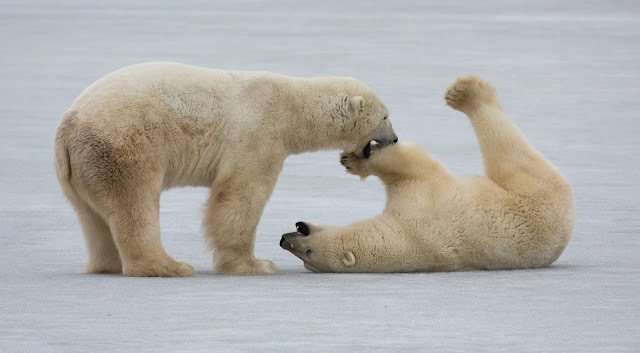 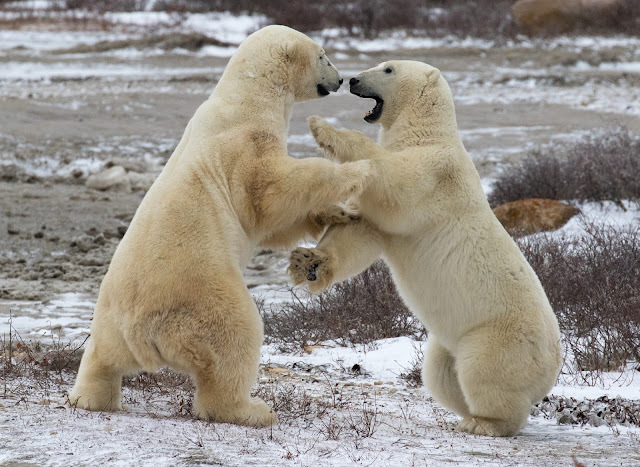 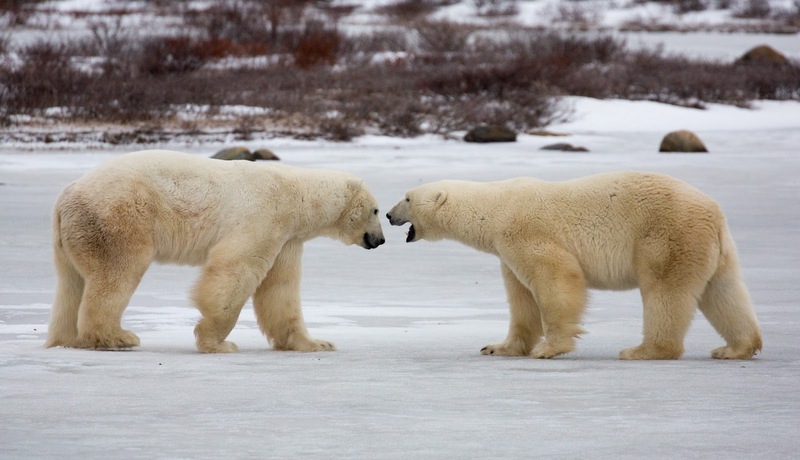 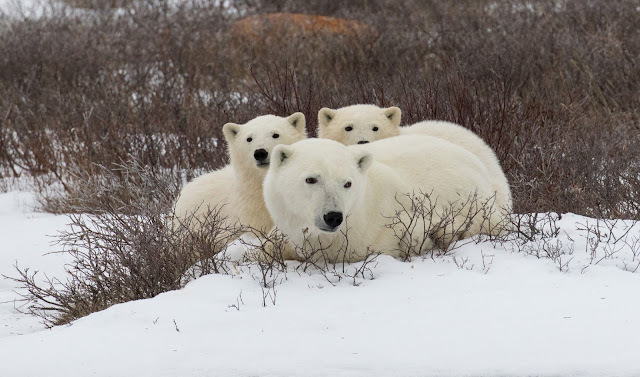 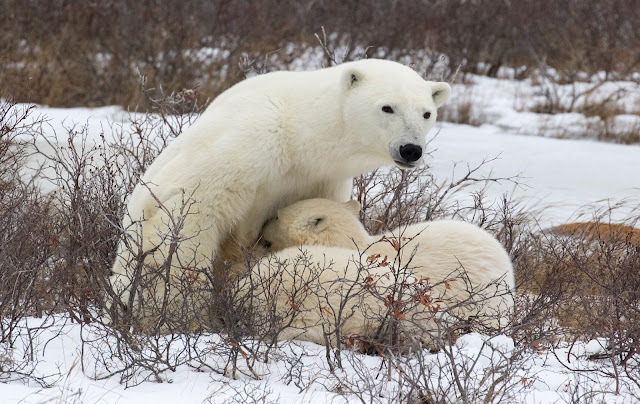 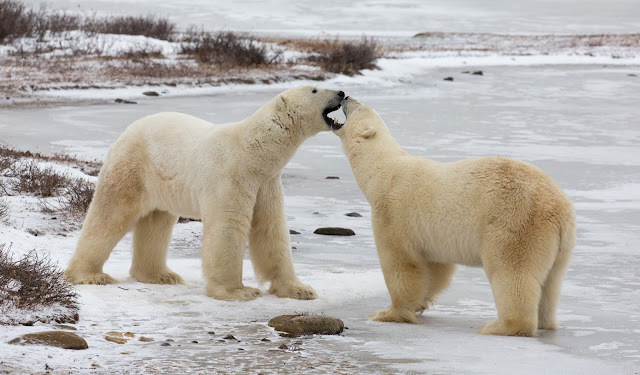 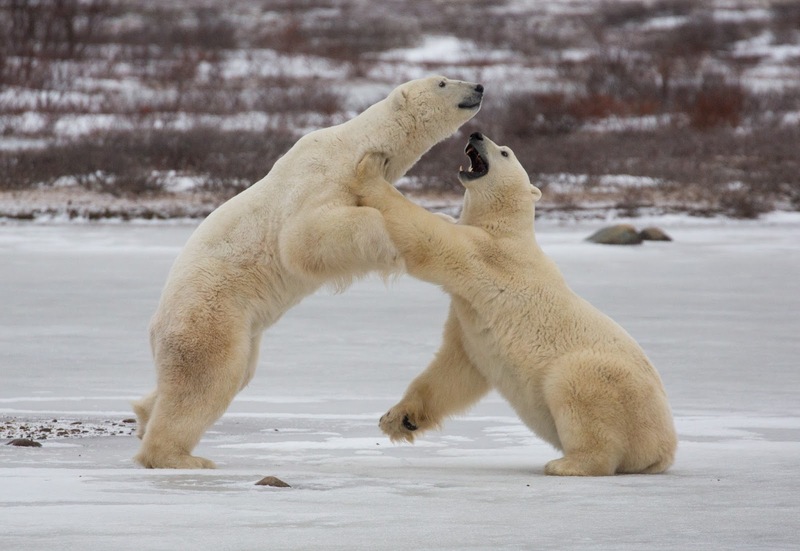 My second and final day on the Tundra Buggy, was marked by sightings of cubs and the sparring of males, when they 'play fight' in order to practice for the more serious contents during mating season. 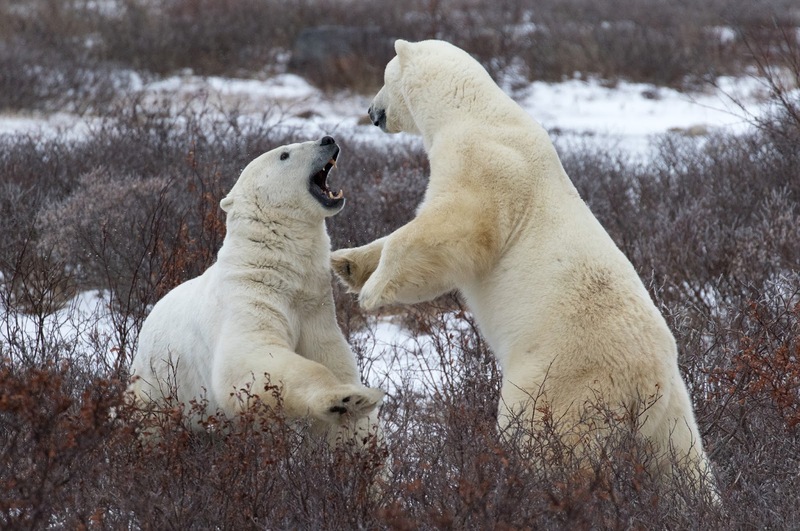 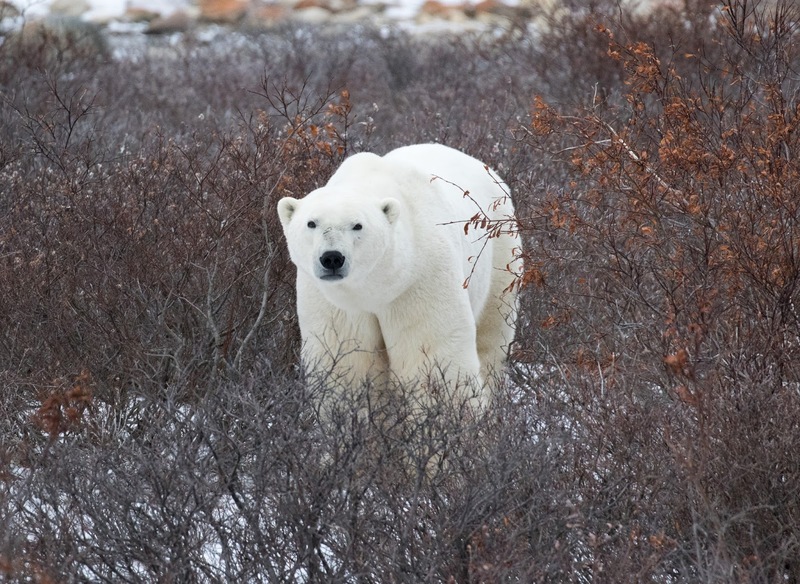 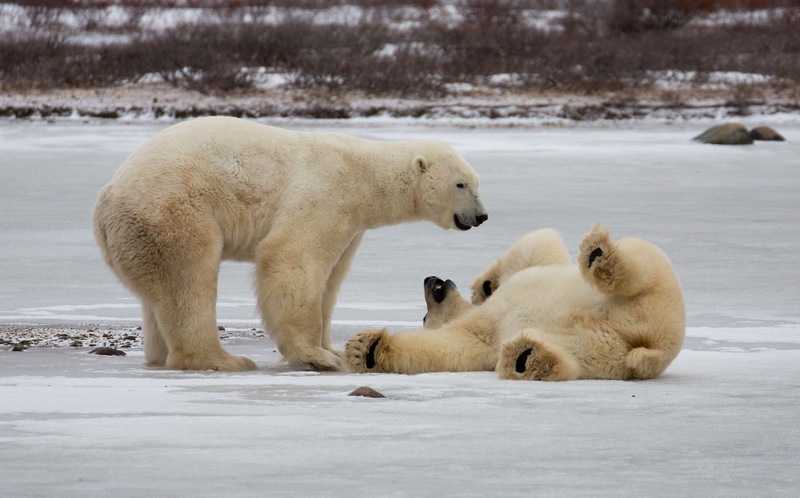 It was spent with my friend and expert photographer Michael Ho, another regular visitor in bear season. 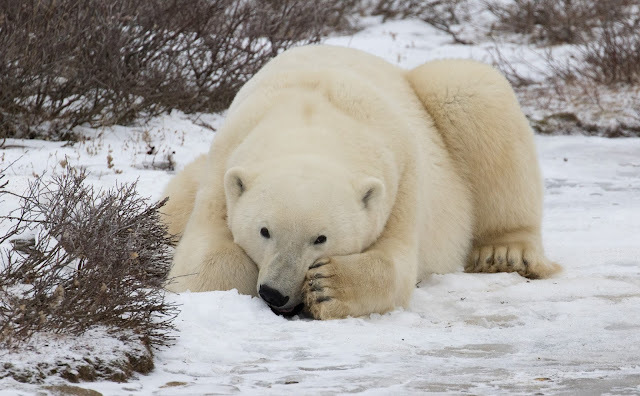 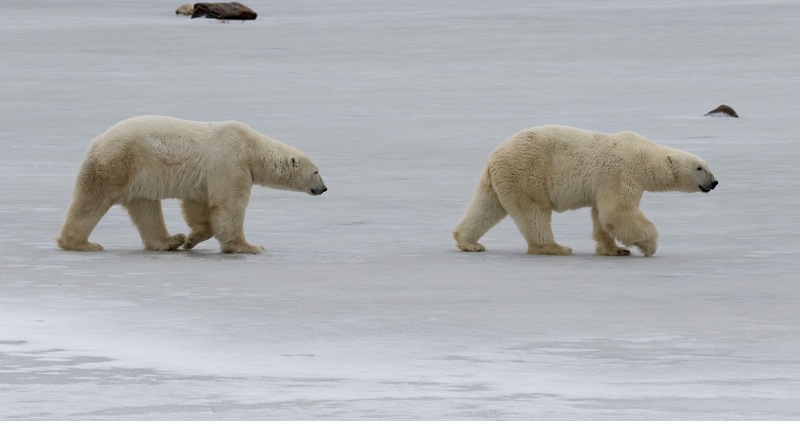 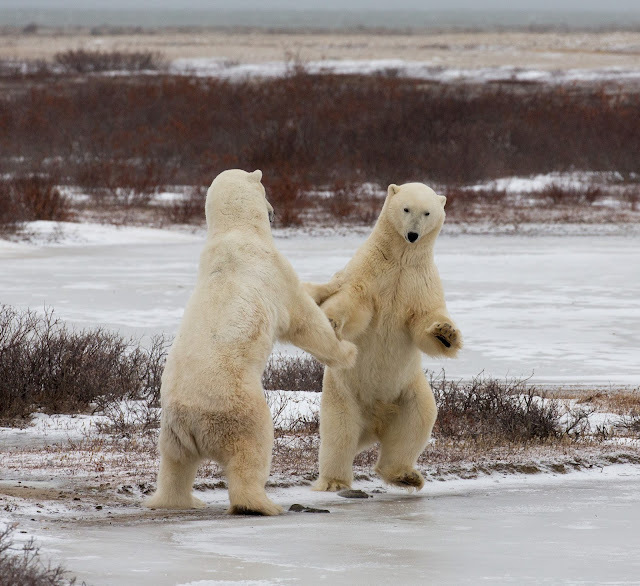 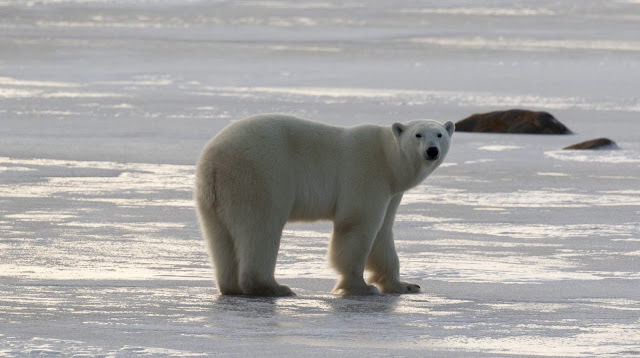 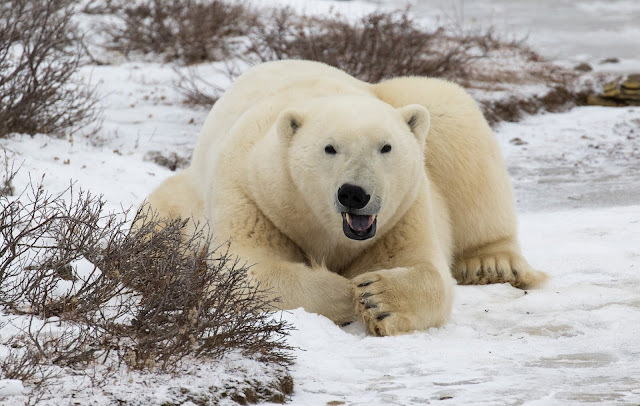 Indeed, the Arctic may be regarded as a vast wilderness, but the few human settlements are small, so one of the joys of visiting is reacquainting myself with locals and fellow visitors.